(Bangkok, 15 September 2018) – The Asian Forum for Human Rights and Development (FORUM-ASIA), with the participation of the Asian Network for Free Elections (ANFREL), conducted a fact-finding mission in Dhaka, Bangladesh from 7-10 September 2018. In light of the testimonies and data gathered during the mission, we express our utmost concern about the deterioration of human rights and the lack of a conducive environment for free and fair elections in the country. The following issues indicate how human rights, fundamental freedoms and democratic space are under unprecedented attack in Bangladesh. The excessive use of force against peaceful protesters calling for a reform of the quota system for civil service jobs and road safety in the country was a blatant violations of Bangladeshi people’s right to peaceful assembly and express dissent. More than 100 people, majority students, have been arrested between 29 July and 15 August as at least 52 cases were filed in different police stations. 5,000 unnamed people were accused for causing violence during the road safety protests. The right to freedom of expression is systematically curtailed by the Information Communication and Technology (ICT) Act, in particular by its vague Section 57. The recent unlawful arrest of well-known photographer and social activist Shahidul Alam under Section 57 showcases the lack of free safe space for expressing opinions or criticisms towards the Government both online and offline. As of 31 August 2018, a total of 128 persons have been arrested under the ICT Act. In August 2018 alone, 23 persons have been arrested for spreading alleged false and confusing information on Facebook and other social media during the safe road movement protests. The replacement of the ICT Act with a Digital Security Bill 2018 poses additional concerns, due to the broader nature of its provisions and disproportionate sentences. 367 cases of extrajudicial killings have been recorded from January to August 2018, mainly committed by the Police and the Rapid Action Battalion (RAB). From 01 January 2009 to 31 August 2018, a total of 1822 persons have been extra-judicially killed. 228 persons have been extra-judicially killed in the context of a war on drugs started in May this year. As of 31 August 2018, 27 persons disappeared allegedly by state agencies, while 442 persons are reported disappeared since 2009. Among them there also high profile civil servants, like former Bangladeshi diplomat Maroof Zaman, missing since 4 December 2017. The combination of judicial harassment, extrajudicial killings and enforced disappearances is nurturing a climate of fear in the country. As a result, civil society organisations, human rights defenders, journalists and members of the opposition are particularly under threat. By blocking access to financial resources, legal harassments, surveillance and intimidations by different agencies, civic space is increasingly shrinking. Intimidations such as the one against SHUJAN’s Secretary Badiul Alam Majumdar, whose house was attacked on 4 August 2018, exemplify the climate of fear that human rights defenders deal with in Bangladesh. The integrity of democratic institutions is cumulatively compromised, as we recorded a widespread deficit trust towards their independence and fairness. The case of Chief Justice Surendra Kumar Sinha, reportedly forced to leave the country in October 2017, casts shadow on the independency of the judiciary and the functioning of democracy in the country. Serious concerns were raised during the mission by civil society and media about the independence of the Election Commission and the existence of a conducive environment for free and fair elections. Hand over power to a neutral caretaker government mandated to hold free and fair elections within 90 days from assuming power. Support civil society’s efforts in publicly raising concerns and awareness about human rights violations in the country, in particular crackdown on protests, extra-judicially killings and enforced disappearances. Continue to regularly address and highlight human rights concerns through international mechanisms such as Universal Periodic Review and treaty bodies, and support calls for a conducive environment for free and fair elections. 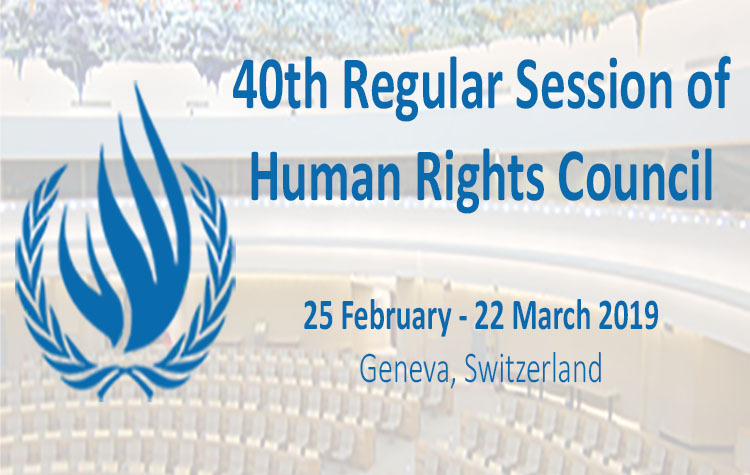 Office of the High Commissioner for Human Rights, and relevant UN Special Procedure mandate holders should closely monitor and report to the UN Human Rights Council on the deteriorating human rights situation in Bangladesh, in particular, in the context of the upcoming General Elections. We believe that South Asian countries, and India in particular, have a strategic role to play. We call upon them to support the promotion and protection of human rights and democracy in Bangladesh. Under this section the publishing of any material in electronic format that ‘causes the deterioration of law and order, prejudices the image of the state or person; or causes to hurt religious beliefs’ can be punished with minimum of 7 up to a maximum of 14 years imprisonment, without any possibility to get bail. Shahidul was arrested hours after posting on Facebook a video of the ongoing protests in Dhaka calling for road safety, and criticizing the Government and the police’s handling of the protests in an interview with Al Jazeera. Data provided by Odhikar as of 31 August 2018.